Signing into apps and services on Apple TV can be frustrating when you're shuttling between characters on the onscreen keyboard, or barking out letters and numbers at your Siri Remote. 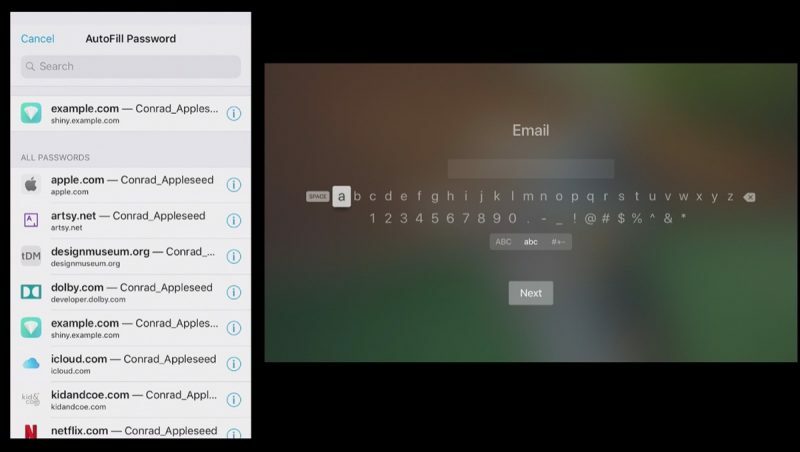 To make entering login credentials easier, Apple introduced continuity keyboard, an iOS feature that allows users to enter text on their Apple TV using their iPhone or iPad. In tvOS 12, coming this fall, continuity keyboard has been further enhanced to support Password AutoFill. So whenever you encounter a login screen, you'll see the following notification on your iPhone or iPad. 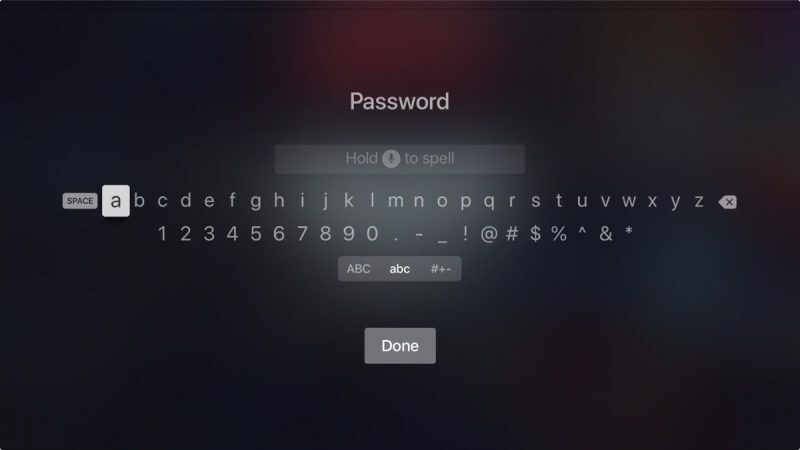 Simply tap the alert at the top of the screen to bring up the keyboard, and you should be able to fill in your password credentials on Apple TV by tapping the AutoFill suggestion in the Quick Type bar. And if you're using the TV remote or Control Center interface with your Apple TV, the same simple login process applies. The above assumes your Apple TV and iOS device are on the same iCloud account. But say you're a guest in someone's home, and you'd like to log in to your account on their Apple TV. What then? Happily, tvOS 12 also caters for this scenario. Apple TV can now ping the Siri Remote to look for a nearby iPhone. Once it's discovered your device, your iPhone will ask you to confirm that you want to use AutoFill. 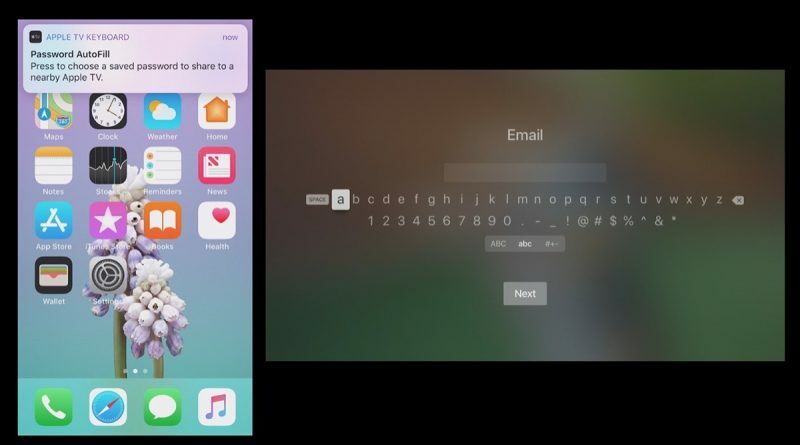 It will then prompt you to enter the authentication PIN displayed on the nearby Apple TV. 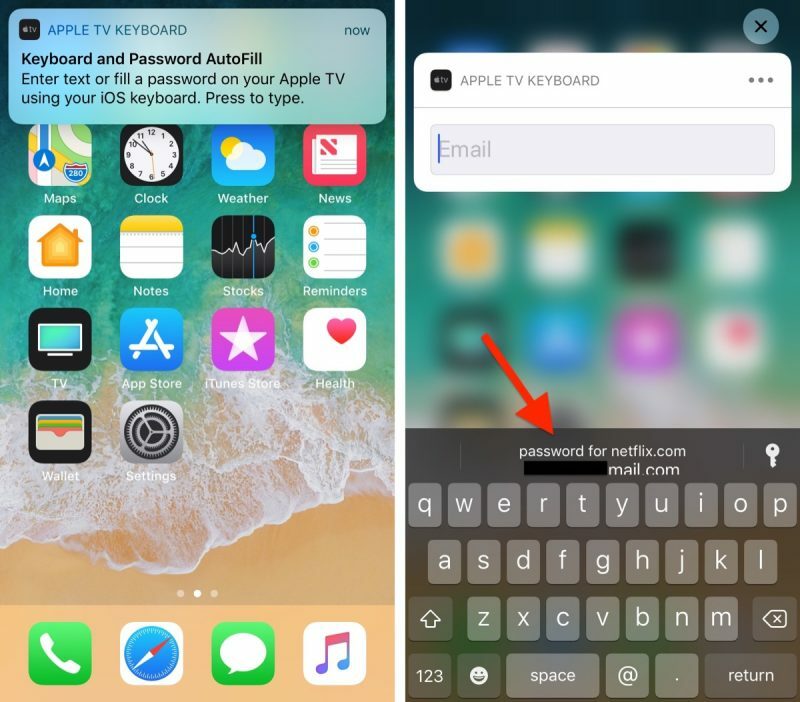 On authenticating your iPhone with Face ID, Touch ID, or a passcode, you'll be presented with your passwords list, and the password for the relevant app or service that you want to log in to will appear at the top, ready to send to your friend's Apple TV at a tap. Password AutoFill on Apple TV requires the installation of tvOS 12 and iOS 12, both which are due to be released in the fall. So why not just have the Apple TV auto fill passwords from iCloud? Why do I need a second device? Maybe because then anyone with access to your tv would be able to access all your passwords without verification. One of the reasons I don't use my AppleTV as much anymore..... it constantly is asking me for my iCloud password, and I'm tired of being such a pain in the rear.... if all I want to do is watch a TV show when i pick up the remote, having to deal with password entry just pisses me off... I've got many of the same apps on my Xbox, I just switch inputs and watch it there. I will also add, the stupid touch remote is the worst remote ever. Its symetrical, so if I'm not looking, half the time i pick it up backwards causing it to do something I didn't want as your palm hits the touch surface, and its way too sensitive at times. While its nice that you don't need line of sight with a bluetooth remote, it easily activates between cushions or when you shift how you are seated if you bump it, causing it to exit what you are watching or get stuck on fast forward, etc.... Can we please get a designer at Apple who isn't obsessed with everything being so ****ing thin? Exactly. WTF are these people thinking? Security, your Apple TV is open to anyone. When the Apple TV 4K was first revealed they showed the feature of never having sign in. Repeatedly. Only once and Apple would remember your password. That can't help you when you download new apps with new passwords or change your passwords. Will this feature work with 3rd party password managers (1Password, LastPass, etc)? Or is it limited to iCloud Keychain?